Can research help wheat weather heat waves? 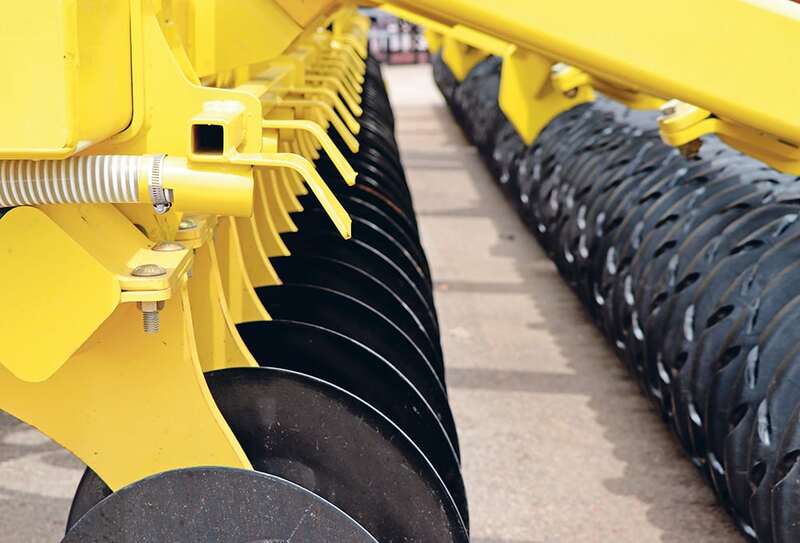 REGINA — Degelman Industries displayed a 40-foot Pro-Till with a commodity cart hitched to the back with the company’s new Scorpion hitch during Canada’s Farm Progress Show. Paul Degelman said the company designed the Scorpion hitch because customers are looking for more ways to use their Pro-Till. 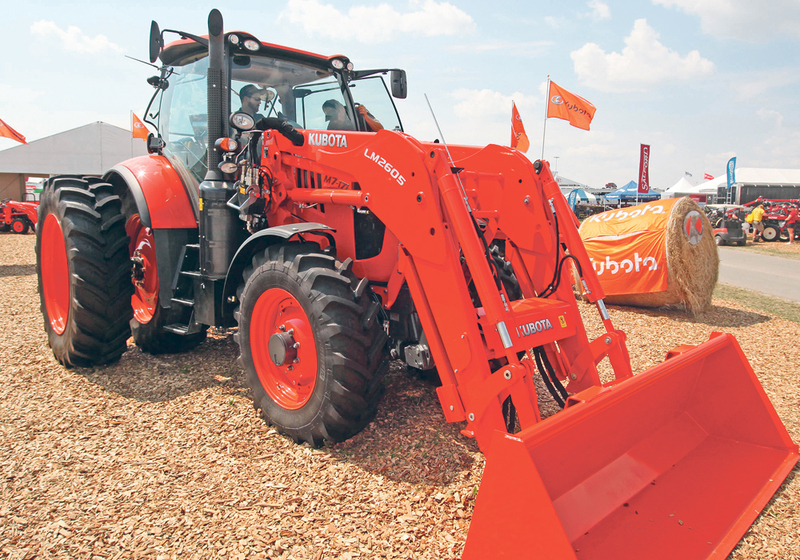 The Pro-Till is outfitted with two air runs that apply product in two different locations. “What we’re doing is we’re double shooting on a Pro Till. Fertilizer in front of the disk, and we’re putting seed and a phos blend right in front of the rollers. 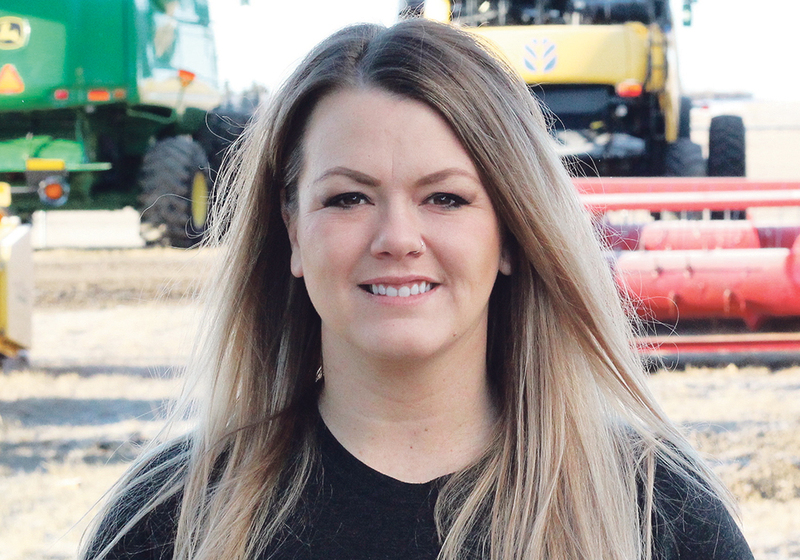 If the conditions are good and we got moisture, it allows us to seed at the same pace that you would any other independent type of hoe drill,” Degelman said. He said they pulled the setup with a 600 horsepower tractor at 11 m.p.h. while applying 100 pounds of actual nitrogen. 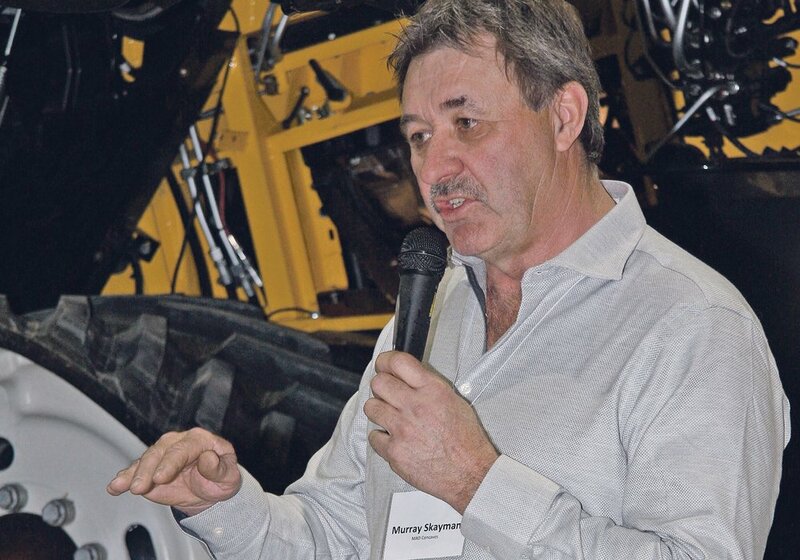 “Really, where it differs from a regular independent opener is that if you have lots of potholes, tough land, we can get in around sloughs without any misses. 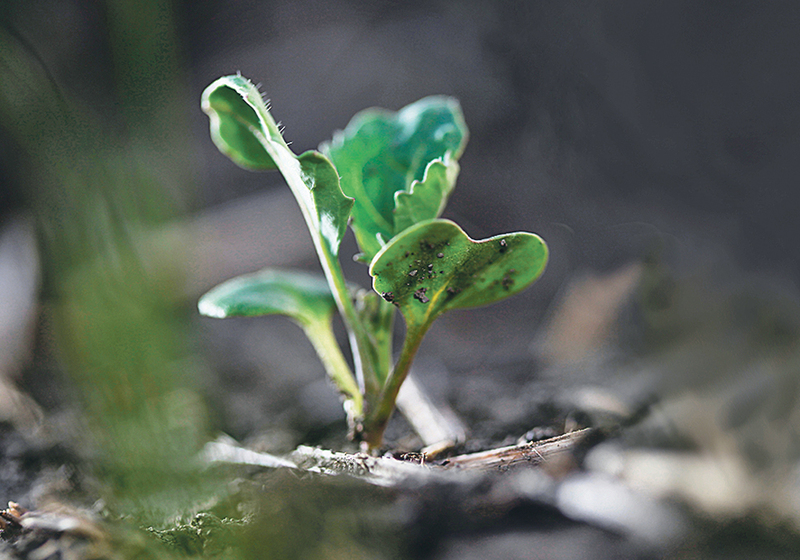 We seed really nice and shallow so we get great germination,” Degelman said. Seed distribution for the system is unaffected by wet conditions and operators do not have to worry about mud plugging the openers. Degelman said he doesn’t see a Scorpion Hitch equipped Pro-Till displacing independent hoe drills. Instead the system will work well as a second seeding unit, especially for producers who already have the Pro-Till because they can have a second seeder for a relatively low cost. 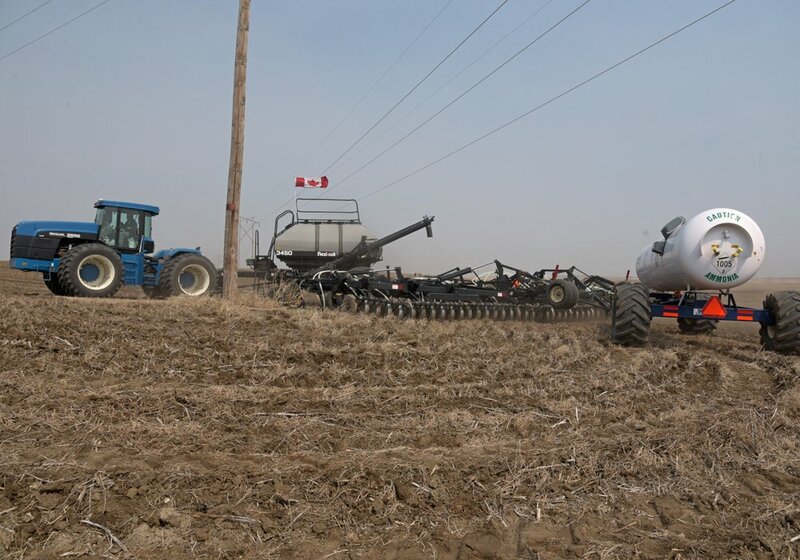 “When conditions are tough and you can’t get in there with your drill and you’ve got potholes, it’s a pretty nice solution to be able to get seed into the ground,” he said. Degelman said some commodity carts work better than others with the Scorpion Hitch. For instance the Bourgault commodity cart is wagon style and designed to support its own weight. He said growers can seed up to 11 m.p.h. with the system, but he recommends using a cart with two fans that can keep up high rates of product flow. Pulling a loaded commodity cart at such high speeds has to create a lot of strain on the hitch, especially in hilly or rough terrain. However, Degelman said they haven’t ripped it apart during testing. “We’ve been in lots of mud holes and everything is good so far, but if it doesn’t break we’ re not doing our job as testers. If it does, rest assured that Degelman will make it strong enough,” he said. 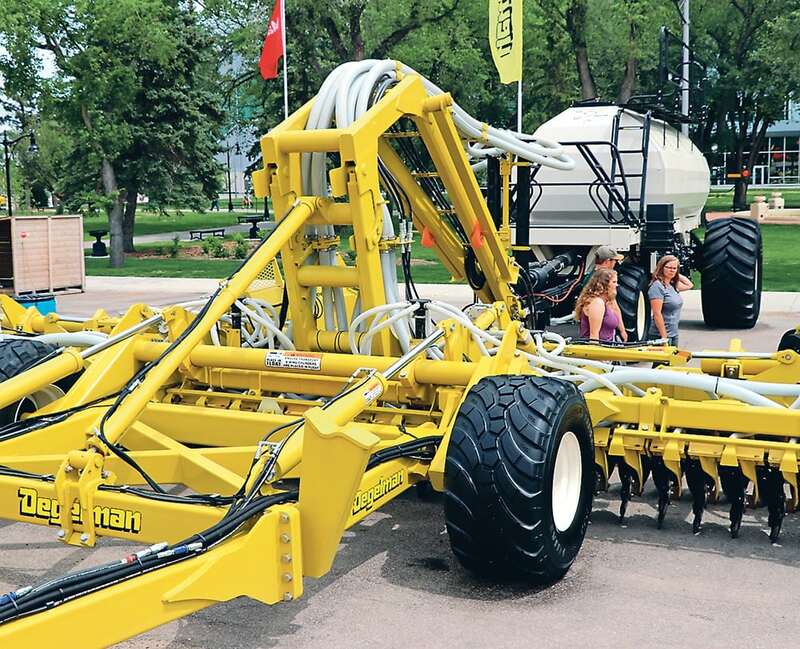 Growers may want to use a Scorpion Hitch equipped Pro-Till to put fertilizer down in the fall, and Degelman said the system will work well for organic producers during spring seeding. The scorpion hitch is still being developed, but it will be offered as a bolt on retrofit for all Pro-Tills. Degelman said it will likely cost $25,000 to $30,000 for the Scorpion hitch and the air pack.